In just four short days Mondo’s MondoCon 2016 will be opening its doors in Austin, Texas for a celebration of all things movies, art, comics, music, toys and food! 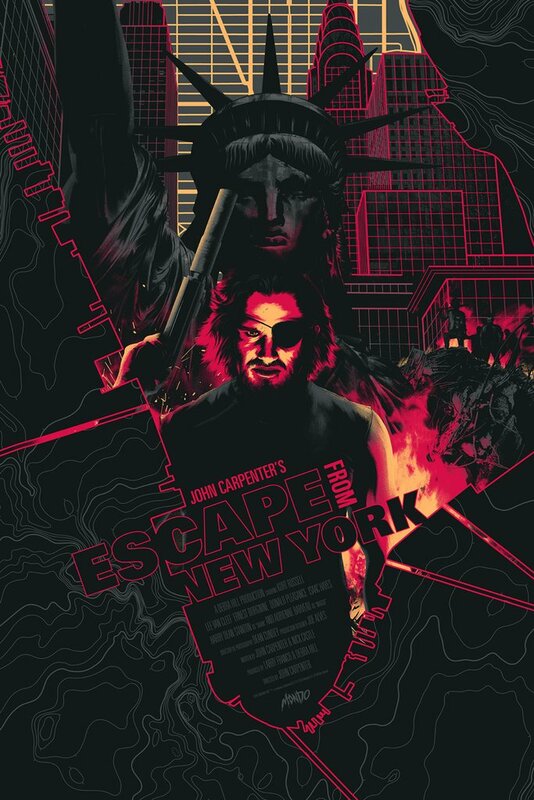 Mondo will once again have an epic line-up of exclusive screen prints for the convention, including this killer Escape from New York movie poster by Matt Taylor. The 24”x36” screen print will be available in two editions. 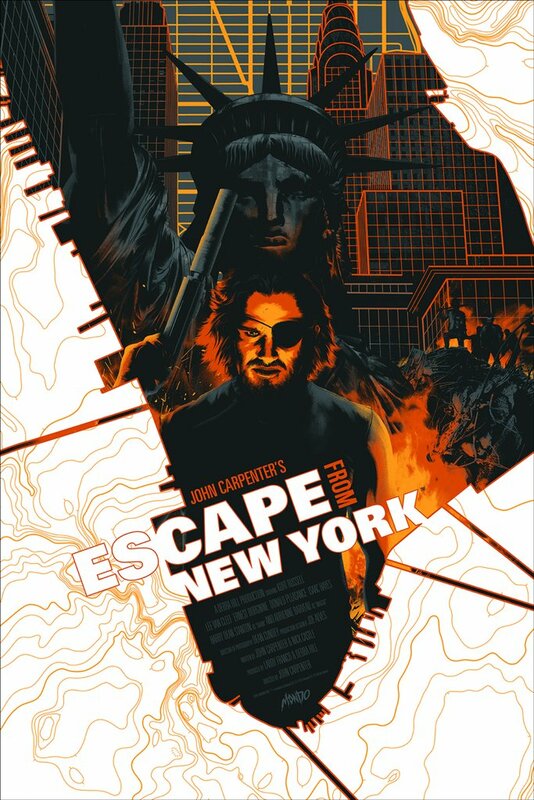 The Regular Edition is limited to 300 pieces, while the Glow in the Dark Variant is limited to just 150 pieces.